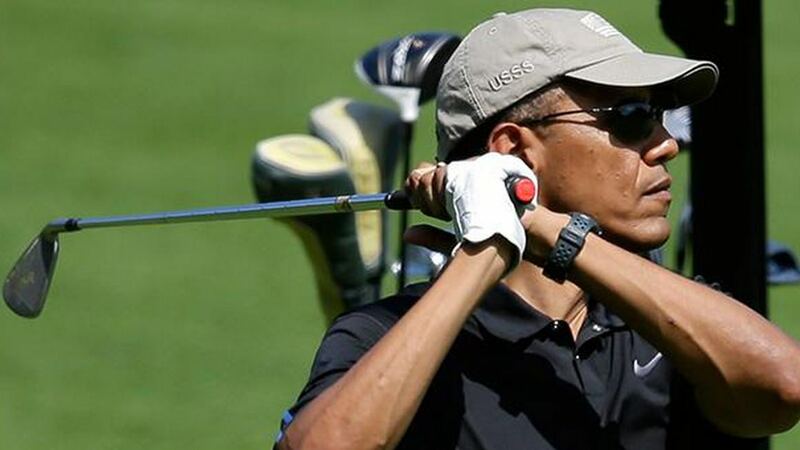 No one’s so powerful that they don’t need a little assistance on the golf course, as US President Barack Obama demonstrated as he took to Farm Neck Golf Club, on the island of Martha's Vineyard. The world’s most powerful man, once described by Tiger Woods as "not bad for a full-time golfer", was spotted on the course with Irish wearable Game Golf. The device is a digital wearable tracking device that keeps tabs on your shots to deliver information about your stokes, shot selection and course management; information that the President will find useful as he attempts to cut his 17 handicap. Game Golf might be a new name, but the device has decent tech credentials. It was designed by Yves Behar, the chief creative officer at Jawbone who make the gorgeous UP24, and its backers include Jerry Yang, the founder of Yahoo. “Wearable technology is huge right now,” said John McGuire, the founder of Game Golf. “It’s been used in 55 countries around the world,” he told the Irish Times. If you’re looking to improve your own sports performances, why not check out our list of the best running watches and best wearable tech.